In case you have been living under a rock since the two documentaries came out (FYRE: The Greatest Festival that Never Happened by Netflix and FYRE FRAUD by Hulu, here’s a quick summary. The soundtrack of our adolescence, Ja Rule, partnered up with wannabe rich guy/con artist, Billy McFarland, to create what was meant to be the most epic music festival of all time. 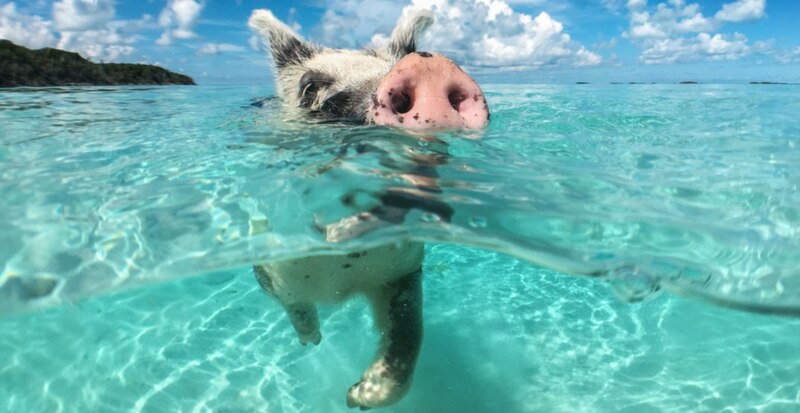 They created an out-of-this-world promo video using the hottest models and influencers, the picture perfect water of the Bahamas (including its pigs), and other imagery that portrayed the lifestyles of the rich and famous. The Fyre team was great at selling this dream to the wannabe influencers that are too-rich-for-their-own-good people who spent thousands of dollars on tickets. (We actually do feel bad for them, but if you are dropping $250,000 on a festival, you had this coming). The financial loss experienced by the local people of the Bahamas was devastating, so much so that a GoFundMe page was started for local restaurant owner Maryann Rolle (which has raised $218,000 and counting) as well as the labourers and everyone else that was involved in the Fyre fiasco in the Bahamas (sitting at $30,000). Because capitalizing on the current viral obsession of Millennials is key to being a good marketer, Shutterstock has stepped up to the plate with an ad that shows how Fyre Festival’s extravagant promo video could have been made with a fraction of the cost and time, using stock images. Shutterstock’s video promises much of the same as Fyre Festival’s promo — models, beautiful beaches, and pigs — but as it’s just in the form of stock footage, they are actually going to deliver on their promise!